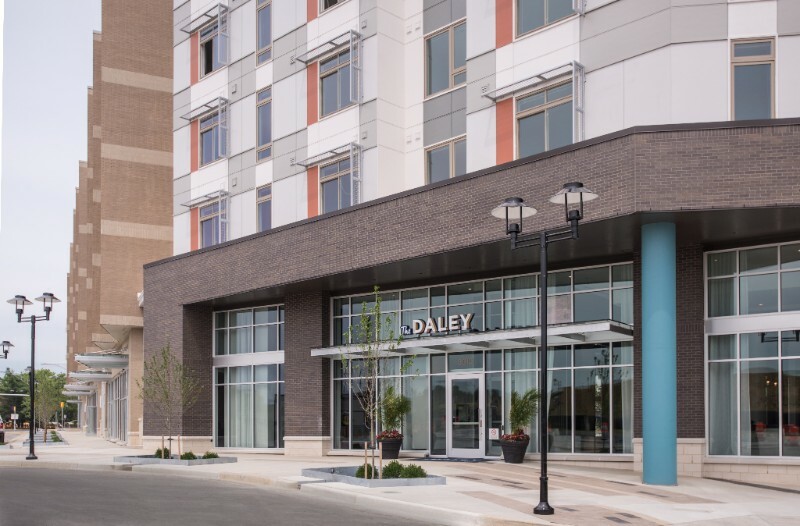 Residents of The Daley at Shady Grove Metro apartments will soon have a suite of new on-site perks. Westside Beer & Wine, Inspire Nail & Spa and Fashion Cleaners will all open on the property's ground floor this year. Inspire will be first to open early this Spring. Upscale craft beer & wine retailer Westside will be next in the summer. Expect Fashion Cleaners to also open this summer; the dry cleaners is locally-owned. Tenants of the Bozzuto-EYA building already have an on-site Starbucks. The developers said in a statement Thursday that they have several additional retail tenants on the way, in addition to delivery of the townhouse portion of the Westside development adjacent to The Daley later this year.